At H&K Insurance, we protect your biggest investment – your home – by offering a combination of broad protection that you can trust, affordable rates, and outstanding service. Our Massachusetts Homeowners Insurance Policies offer protection for your dwelling, as well as your personal possessions and personal liability. 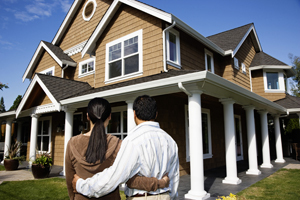 We will also help you to better understand the coverage provided by your homeowner’s insurance policy. We consult with you to determine the specific policy inclusions you require, including Personal Umbrella Liability to ensure that your home is always properly protected. And we make sure that you can always replace personal belongings at replacement value – not the depreciated value. As a local, independent insurance agency, we have access to multiple carriers to give you the best possible options for your Massachusetts homeowners insurance policy to insure your new home. Whether it’s a small, country home to a multi-million dollar estate, H&K Insurance has the resources and connections to protect your latest investment. We proudly pride ourselves at being skilled value-hunters finding the best combination of coverage for the right price. Learn more by requesting an online quote! Give H&K Insurance in Watertown, MA a call at 617-612-6500 to discuss your new Massachusetts homeowners insurance policy today! What Do I Need To Do After A Loss?